White supremacists’ armed protests against the removal of a Virginia memorial to the Confederacy left one dead and more than thirty injured after a driver plowed into counterdemonstrators. With more demonstrations planned, greater attention should be paid to the threat from far-right radicals, says Cas Mudde, a political scientist at the University of Georgia who focuses on extremism and democracy. “Within the U.S. the threat from the far right is bigger than that from jihadists,” Mudde says. But despite this, he says, the U.S. government has long devoted insufficient resources to domestic far-right movements, and many of these groups now feel emboldened by Donald J. Trump's presidency. How do you characterize the demonstrators in Charlottesville? The vast majority were either white supremacists or white nationalists, but they were relatively diverse in terms of views both on the political system and on race, from people who by and large want to dominate if not exterminate non-whites to people who want to hold onto white privilege. Neo-Nazis don’t believe in democracy. The so-called alt-right has elitist views on democracy. 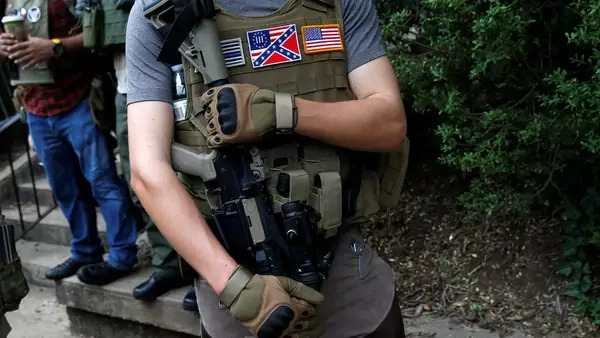 But [also in Charlottesville] were Three Percenters, a militia that at least claims to uphold democracy, and neo-Confederates, who are not necessarily against democracy. The Justice Department has characterized the killing of counterdemonstrator Heather Heyer as “domestic terrorism.” Is that what was on display? Not in the demonstration itself, although there was an aspect of intimidation with the torches [on the marches Friday night]. I would call the car attack [on Saturday] political violence; terrorism needs to be planned and to have a message. That is not to say that the far right hasn’t been responsible for terrorism in the U.S., and there’s no reason to assume they won’t be in the future. Dylann Roof, for example, delivered an attack in Charleston, [South Carolina,] with a clear message. But much of the violence of the far right, broadly defined, comes not so much from neo-Nazis but from anti-government people—“sovereign citizens”—and is spontaneous and reactive. Scholars of violent extremism, most often in the jihadi context, often try to decipher who gets radicalized. Does scholarship tells us something about the far right? That discussion is much less prevalent with regard to the far right. There’s a lot of research now into radicalization of jihadis, but the initial research was on neo-Nazis in Western Europe. The problem is, we know very little, as with jihadis, because we’re talking about a very small group, particularly the violent ones. We have clichés of extreme-right activists as white, working-class males, but the Charlottesville demonstrators, like Richard Spencer, [a leader of the self-described alt-right,] are middle class if not upper-middle class. In typical images of Ku Klux Klan (KKK) members, they’re wearing hoods, but the Charlottesville demonstrators here seemed to have no instinct to conceal their identities. You mentioned before that many of these groups are antidemocratic. But if they do feel emboldened by Trump, will that encourage them to get involved in the political process? They will undoubtedly do it, if only just to increase their public profiles. Spencer has already talked about it. [Former KKK leader and Louisiana state representative] David Duke is back in politics. Undoubtedly several of them are going to run; virtually all of them are going to lose big. Most of the leaders of this movement don’t feel that Trump is a white supremacist or a white nationalist, but they do feel that he is on their side and advances their agenda. And so they feel supported. Is there anything that U.S. law enforcement or policymakers can learn from Europe’s experience dealing with the far right? [Governor Terry McAuliffe said] that the police were outgunned. That’s unacceptable. There’s a different legal context in the U.S., because of the First Amendment, than in Europe, where freedom of speech is significantly restricted with regard to racism and anti-Semitism. I prefer the U.S. way. But one thing European governments do [is control the use of force]. One of the most upsetting parts of the Charlottesville fiasco was that [Virginia Governor Terry McAuliffe said] that the police were outgunned. That’s unacceptable; the basis of the state is having a monopoly on violence. Antifascists—or people more concerned about diversity or liberal democracy—have almost a shared interest in confrontation. Counterdemonstrations rarely ever lead to a clear win. In the Netherlands, Germany, and Belgium in the eighties and nineties, small groups of the extreme right would organize something, and much larger groups of antifascists and democrats would come out. It leads to provocations and often violence, including arrests—often more arrests of the counterdemonstrators than of the original demonstrators—even more attention for the extreme right, and, in certain circles, sympathy, because they’re now seen as the victims of a violent extreme left. But [those opposing extremism should organize more effectively]. If, for example, the counterdemonstrators had organized a big festival, with ten times as many people, instead, that would have diverted a lot of the attention. A lot of effort and money since 9/11 has gone into what’s called CVE (combating violent extremism) programming, focused on Muslim communities. Does the record suggest such programs can be effective and applied to the extreme right? There are very few studies that evaluate these kinds of programs. Some involve the state, some don’t. Some take the initiative; others wait until members want to come out. Overall, of course, the ones that respond to people wanting to get out are more successful. But we actually know little about what is the best way to achieve it, and overall, the successes are relatively small. That said, the Trump administration pulled all the money from [anti-extremism programs] that targeted non-Muslim extremism and, by and large, defined terrorism as jihadi terrorism. Within the U.S. the threat from the far right is bigger than that from jihadis. First and foremost, there are many more people in the U.S. that hold extreme-right ideas than that hold Islamist ideas. Second, it is extremely easy to get your hands on serious weapons, even in states where it is not legal. Hence, you don’t have to be organized to create an arsenal. Third, right-wing extremists are much less surveilled than Islamists. The Department of Homeland Security (DHS) published a report in 2009 about the threat to the U.S. of far-right domestic violence [PDF], which was viciously attacked by Republicans in Congress. Most of the people at DHS who worked on the far right were moved to different desks, and the author of that report, [Daryl Johnson,] resigned. Well before Trump came to power, the far right was an afterthought for those at DHS working on violent extremism and terrorism. It is crucial that the state does not overreact, as it has done with jihadism. It is crucial that the state does not overreact, as it has done with jihadism. Rather than more surveillance and new repressive laws, I would prefer the U.S. government use existing laws and resources more intelligently, for example by moving some of the resources from the too-large jihadi desk to the too-small extreme-right desk. It is obviously also high time to regulate guns, in particular semi-automatic weapons, much more strictly. Finally, the state should enforce the law, irrespective of the ideology, race, or religion of the challengers. By caving to pressure in the case of the Bundy farm in Nevada in 2014 it emboldened the [anti-government militias] responsible for the Oregon standoff last year. Did the political climate preceding Trump contribute to these groups’ rise? There is this idea pushed by conservatives and Republicans that Trump hijacked the GOP. That is way too simplistic. Neo-Confederates, all kind of nativists, and certain racists have felt pretty covered by at least state or local politicians, particularly of the GOP. These connections between the radical right and local and state GOP branches predate Trump. Trump is, to a large extent, the creation of the larger playing of the race card and working on white anxiety that the GOP has been doing for decades.